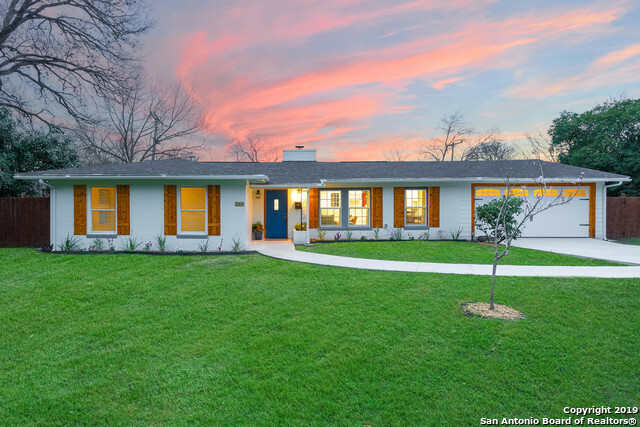 All Bel Meade homes currently listed for sale in San Antonio as of 04/24/2019 are shown below. You can change the search criteria at any time by pressing the 'Change Search' button below. 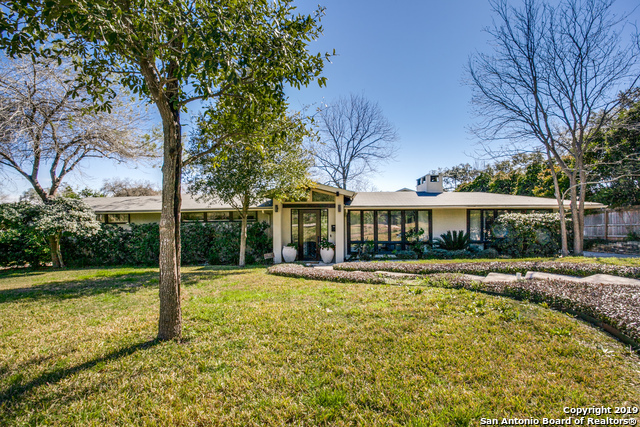 "Art blends with function in a Modern home in popular Bel Meade. Recently updated, this four bedroom home sits on a corner .63 acre lot. 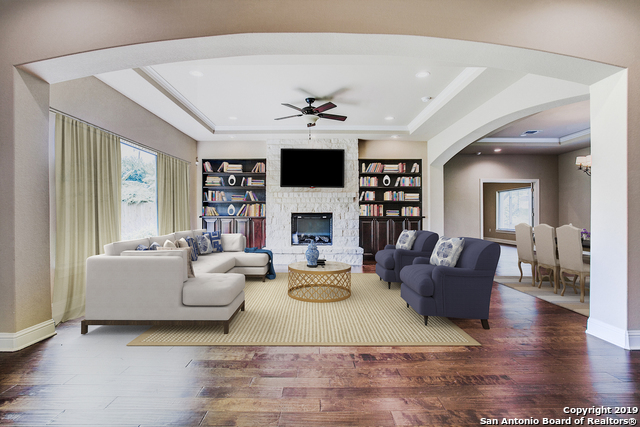 Open floor plan with glamorous dining area, arched accents, light filled living with fireplace & built-ins.Hardwood floors accent the first floor. Chef's ktichen has custom cabinets, gas cooking, center island and spacious breakfast area. Luxurious downstairs master and study while upstairs additonal bedrooms & large gameroom await you. Backyard has room for po"
"Nestled into the charming neighborhood that once was the entire estate of George Brackenridge is this storybook cottage that was named he Holiday House by a previous owner. Three gracious living areas beg to entertain guests as well as a picture perfect backyard, large patio and gazebo. Throughout the house is incredible millwork and dentil molding. A true jewel box." "Completely updated 3BR/3BA each w/en suite bath. Totally redone with designer choices of every touch. Carrera marble & porcelain tile bths, updated Kitchen w/Carrera marble & SS counters, all new appliances/fixtures, concrete & wood floors, updated bath fixtures & surfaces, beautiful lighting throughout. Large MBR w/sit rm, walk-in closet, bonus rm above MB closet. Lg.covered patio overlooking lush private yard. New driveway & electric gate w/tons of back parking. 169 sq.ft. storage shed. Contem"
"An amazing home on a large lot in Bel Meade. White Carrera marble kitchen w/ gas range. White Carrera marble master bath. Beautiful hardwood floors, plantation shutters and french doors. Over sized backyard w/ limestone patio and deck and an additional 14 x 13 bonus room. Easy access to Ft. Sam, downtown, 281, and 410. Renovated and remodeled master bath w/ soaking tub & Carrera marble. Outside, downstairs is a 14x13 man cave/bonus room." "Meticulously updated ranch style Bel Meade HGTV worthy home! Large open living area surrounds the wood burning fireplace, the designer kitchen accomodates any gathering. This homes has 4 bedrooms, and 3 full bathrooms each with their own artful selections. Enjoy a springtime Bar-be-que on your outdoor deck, or sip your favorite Cab infront of the wood burning fireplace. Take the virtual tour here --- https://my.matterport.com/show/?m=5S2u9g87Luz"
"Don't miss this awesome 1 story 3/2 on a hill-top in beautiful Bel Meade. This fabulously elegant home has perfect updates and is ready for you. New flooring, new paint, granite counters are all waiting for a new owner! The large master has a walk in closet & beautiful oversized shower. With lots of storage and natural light, fabulous yard, a lovely LARGE lot & the perfect location you will want to buy this one!"